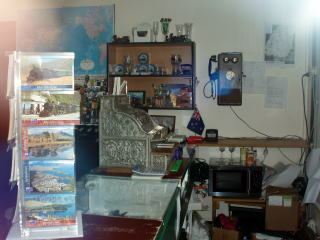 in the foreseeable future as mounting debt had forced the operation to close. 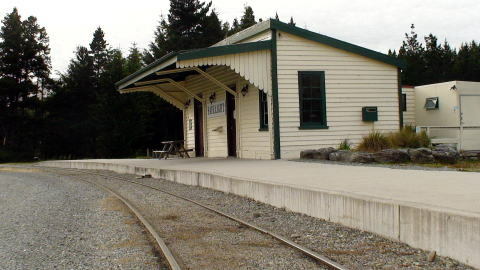 (L) Information plate on the wall of station (R) The interior of the station. steam locomotives, a Model T Ford replica. 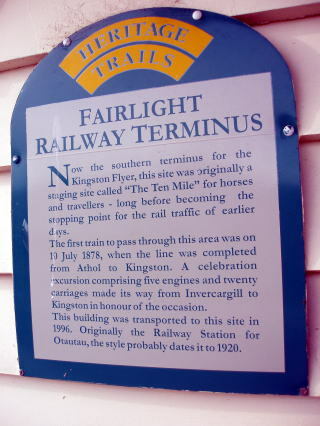 The heritage line uses 2.5 km of the track. 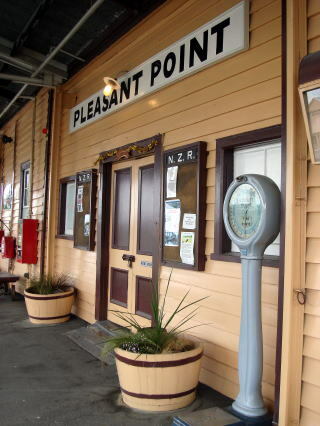 (R) A well reserved building of the Pleasant Point railway station. 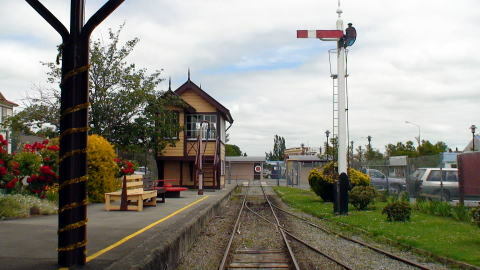 (L) The station platform and a mechanical semaphore signal. 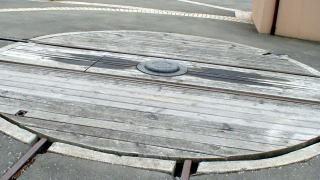 (R) A turntable of the reserved railway. 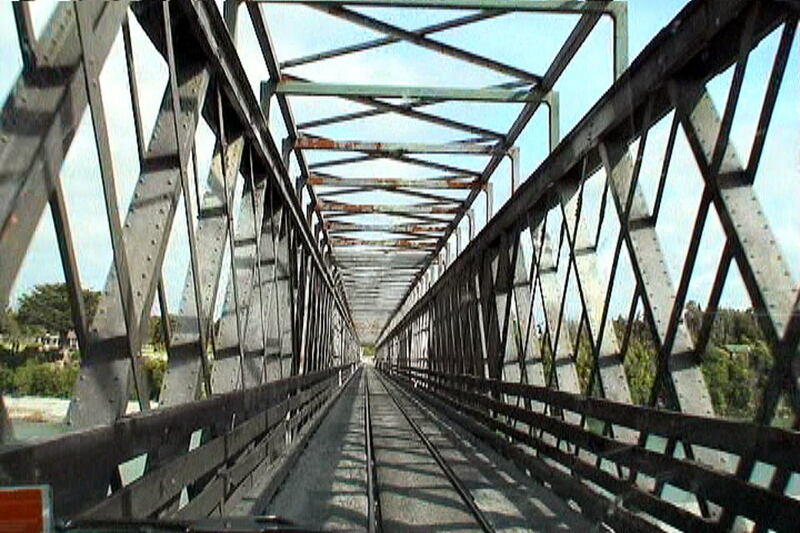 There are two signs for one-lane bridges to show who has right away. (L) You have the right to go ahead. (R) You have to wait until all cars coming are none. (L) One Lane Bridge (R) The sign shows 'you have to give way'.